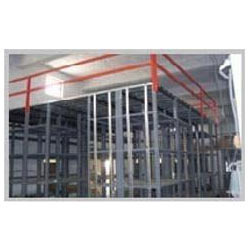 Creating extra floor space through use of heavy-duty structural steel sections, Customized Mezzanine Floors have been designed and offered to our customers. These floors are designed as per the industry requisites and are integrated with qualitative features of safety and durability. Meeting the complete requirements of complex space needs, these floors have gained huge appreciation among our clientele. Looking for “Customized Mezzanine Floors”?